"Riley's book is an excellent book that provides a wide ranging coverage of the subjects that could be considered to be under the umbrella of communications. 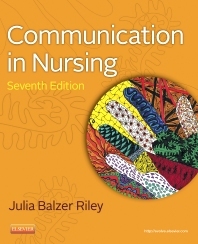 The pre-registration student would find this book especially helpful when studying those modules that have a communications flavour to them...These chapters mean that the book can prove helpful to the nurse at any point in their career providing timely reminders of the best strategies to use in order to facilitate efficient communications with clients...This book would probe most useful to the pre-registration student studying a communications module. However, the inclusion of chapters on real world situations can help to extend the appeal of this book."